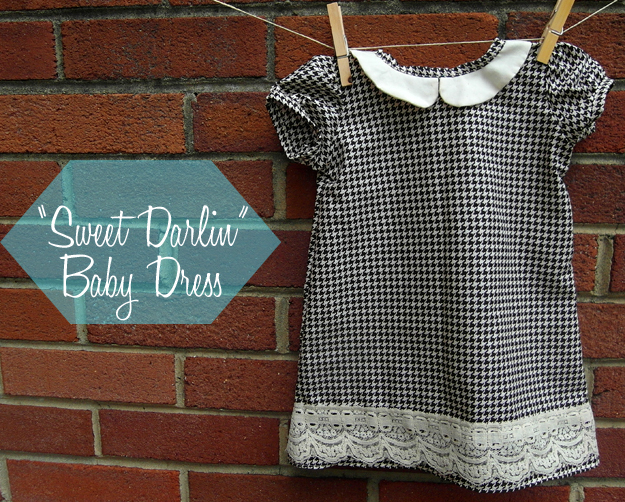 ' "Sweet Darlin" Baby Dress - Sisters, What! I'll be 40 weeks tomorrow and still no baby. In the mean time, I guess I'll post something else I made a while ago. 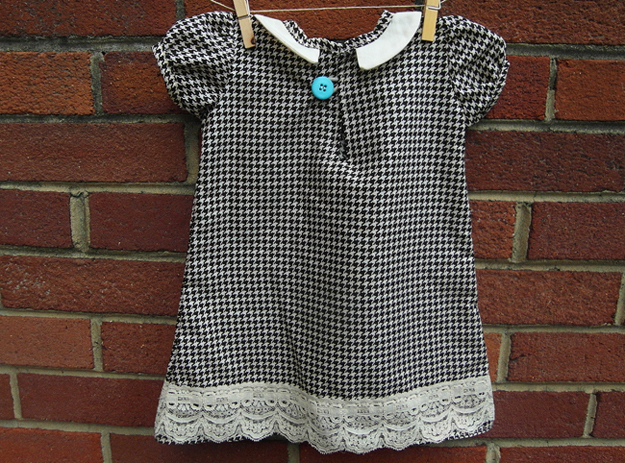 One of my friends just had a girl, so for her baby gift I made her this sweet little dress a few months ago. I haven't really made any clothes for baby girls before, but this turned out to be so fun and easy. 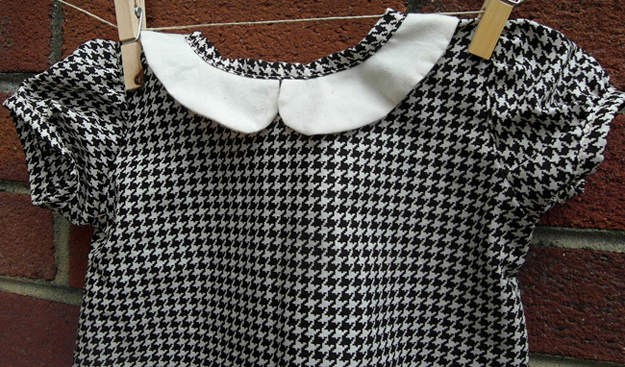 To make this dress I used this TUTORIAL from Craftiness is Not Optional as a guideline for the main body of the dress. 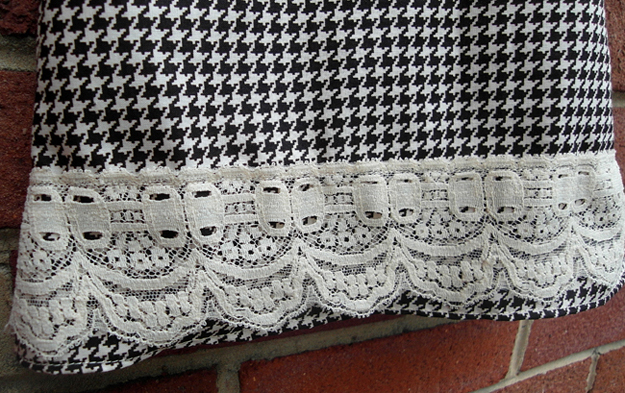 I changed it up a bit and did a peter pan collar and added some lace at the bottom to give it a vintage look. I just love how the whole dress turned out and it was SUPER easy. Maybe I'll make an adult variation for me.